Campuses are taking advantage of an evolving energy landscape to dramatically reduce consumption—and their overall carbon impact. The cover story of the April 2006 issue of Business Officer posed this question: “Will sustainability take root?” It was one of the first feature articles in NACUBO’s flagship magazine to explore an emerging awakening on campuses across the country to concerns about the environment, including energy consumption, food and water supplies, and recycling and waste management. Even then, numerous colleges and universities had for years been tackling energy and water efficiency measures as a matter of course in their campus operations and offering degree and certificate programming in ecology and environmental studies. The bigger question—especially in the face of growing global alarm about the contribution of greenhouse gas emissions to a warming climate—was how could concern translate into action by individual campuses and higher education as a sector to have a meaningful impact on sustaining a healthy planet? What, for instance, would it entail to infuse a sustainability focus across the curriculum? How might conservation and efficiency projects be continuously pursued as standard operating procedure for campus infrastructure and grounds? What was the best strategy for shifting energy procurement away from fossil fuels in favor of renewable sources? Could recycling and composting initiatives be ramped up to the point of essentially generating zero waste, or facilities be designed to produce more energy than consumed? And, how might faculty and staff collaborate to provide students hands-on learning in all of these efforts, using the campus itself as a learning laboratory? What a difference a decade can make. By many measures, sustainability has absolutely taken root on campuses across the nation. In addition to charting huge progress on these various fronts, many institutions have formalized sustainability as core to their mission and learned to articulate the challenges and communicate accomplishments to a broad constituency. From conducting baseline greenhouse gas inventories, to developing climate action plans, to selecting target dates for achieving carbon neutrality, higher education institutions have been hard at work planning and implementing strategies to achieve their goals. With the early payback of low-hanging fruit largely accomplished, most institutions are now facing the more challenging larger-scale, longer-term investments required to achieve their neutrality goals. That said, there are game-changing opportunities on the horizon. These include commercial-scale partnerships for renewable energy procurement, advances in energy storage and grid technology, and the cost-competitiveness of solar power in more regions of the country. Emerging opportunities aside, with a good number of colleges and universities near or beyond the halfway point of their established target dates for achieving neutrality, where do things stand? 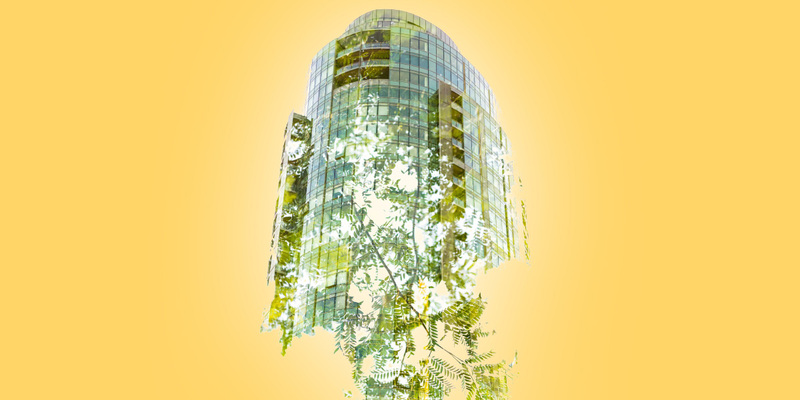 This article checks on the progress of a handful of institutions across the country to find out what’s working to reduce their carbon footprint, what leaders have learned, and where they plan to focus efforts next. Also highlighted in “Seeding Climate Leadership,” tips from a systemwide approach by the University of California to achieve carbon neutrality by 2025. Arizona State University, Tempe, with five campuses in metropolitan Phoenix, has pledged to reach institution climate neutrality by 2025 for all except transit-related emissions, for which it selected 2035 as its target date. “We felt it was important for the institution to set an audacious goal to energize people and focus institution activity,” says Morgan R. Olsen, executive vice president, treasurer, and CFO. One strategy in pursuit of that bold goal has been to maximize readily available renewable fuel sources. 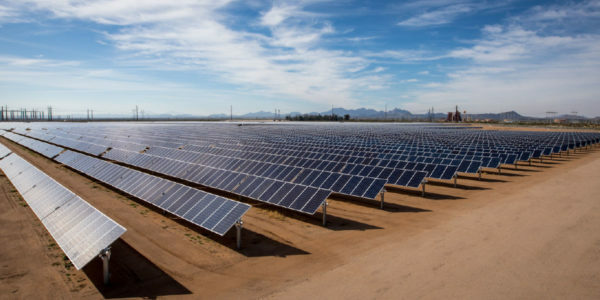 Chasing solar power in the Valley of the Sun would seem a no-brainer, says Olsen. And indeed, ASU has sought to fully leverage the sun’s potential. The university has installed 88 discrete systems on its campuses, which, combined, yield nearly 25 megawatts (MW) of generating capacity. In fact, the university has run out of readily available space for new on-site projects on some campuses or reached a point on one campus where output can equal or exceed daytime load. Cultural immersion. Early on, ASU leadership took an important step in pursuit of its neutrality goals, notes Olsen. “Central to our progress has been instilling engagement across the entire university and among all stakeholder groups.” While ASU does have individuals with formal leadership responsibility who focus on different aspects of university sustainability, important from day one has been developing a shared perspective and commitment throughout research and learning, operations, and in public service and outreach, explains Olsen. That commitment is evident in myriad ways. ASU launched the first school of sustainability in the country, which currently enrolls more than 500 students, and was the first to offer a doctoral program in sustainability, notes Olsen. The university’s Global Institute of Sustainability encourages interdisciplinary work among legal scholars, engineers, and social scientists to foster a sense of communal responsibility for ensuring the future health and economic vitality of the population and the planet. In concert with a strong academic focus is ensuring that ASU is principled in its practice throughout the enterprise, says Olsen. “We need to walk the talk and make sure that all our operational practices reflect these ideals.” That includes considerations such as the university’s use of natural resources like water and the waste streams its operations produce. To that end, the university is pushing hard to eliminate waste on all fronts, notes Olsen. He points to one small example of this principle of resource efficiency in practice. In recent years, students began harvesting sour oranges from citrus trees around the Tempe campus. These aren’t immediately edible, warns Olsen, but each year nearly five tons of fruit are turned into about 400 gallons of juice for making marmalade and the DevilAde beverage served in the student union. Pittsburgh’s Chatham University is likewise committed to becoming carbon neutral by 2025. Since 2007, building square footage for the university’s three campuses has increased a combined 36 percent, and enrollment is up by 45 percent. Even so, Chatham has managed to reduce overall emissions by 7 percent during the past decade, says Mary Whitney, director of university sustainability. “Our No.1 priority is curtailing our electric consumption, which accounts for more than half of our emissions.” Chatham currently purchases renewable energy credits worth 100 percent of its electricity use, but everything remains on the table for squeezing additional efficiencies across each campus through ongoing lighting upgrades, reducing plug loads, and maximizing building controls, notes Whitney. The gift of 388 acres of farmland north of Chatham’s main campus allowed the institution an opportunity to envision something truly ambitious, and something that would make environmental icon and Chatham alumna Rachel Carson, proud. 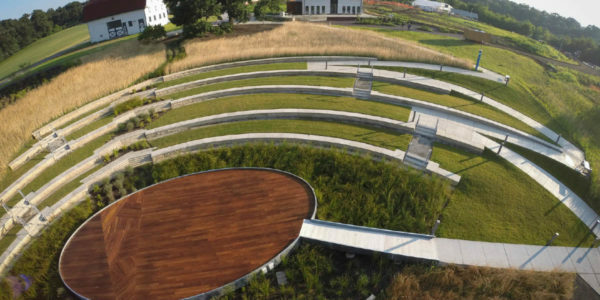 The university’s Eden Hall Campus is now home to the Falk School of Sustainability and Environment and is an academic community designed from scratch, specifically for the study of sustainable living and development. Once complete, the campus is projected to serve 1,500 students in a variety of disciplines who will experience firsthand a net-positive environment where the built infrastructure will produce zero carbon emissions and generate more energy than is consumed, and where wastewater and stormwater will be fully managed on site. Among the technologies to be employed are geothermal and micro-hydroelectric systems, low-velocity wind turbines, and high-efficiency solar thermal hot water installations on residence halls. The solar systems that are complete have already reduced residence hall natural gas use by 30 percent, says Whitney. A giant solar canopy graces one entrance on campus. Once the sister canopy is installed on the other entrance to the campus—likely within the next five years—Eden Hall will enter its net-positive status, says Whitney. Currently, about 100 students are living on campus during its first full year of residency. Local offsets are an option currently under consideration by university leaders. Each semester, faculty, staff, and students may voluntarily donate $8 per vehicle in addition to their parking fee to purchase commercially available offsets from a third-party provider. Under review is an option to partner with a local or regional landfill to help retire methane gas emissions in connection with the university’s carbon neutral commuter campaign, says Lee Ball, university sustainability director. A basis for larger goals. Appalachian State adopted its climate neutrality target of 2050 in accord with the University of North Carolina’s systemwide sustainability policy. Most Appalachian State students want to move that up to 2030, if not sooner, and that is a sentiment shared by many on campus, notes Dees. While a lack of will and support among university leaders and stakeholders isn’t a challenge, cost and contractual commitments can get in the way, he explains. In addition to helping focus the university’s carbon neutrality priorities, a positive secondary outcome of developing a climate action plan is that this has allowed the university to infuse sustainability as a foundation of its larger strategic plan and has helped institutionalize sustainability across campus and across all units, says Ball. Pivotal timelines. To date, the renewable energy profile on campus includes one wind turbine and some smaller-scale solar. “We contract with other utilities in the region to purchase our electricity, and our current contracts limit the amount of renewable energy we can buy or install,” says Ball. The good news is that those contracts come due in six years. “In theory, we will be able to buy as much renewable energy as we want, so we should start to make some real headway with our energy sourcing at that time,” says Ball. The university is in a unique position to do so because New River Light and Power, the primary utility provider for the city of Boone, is a university-owned utility. After finalizing its climate action plan in 2014, Nebraska’s Central Community College set a target of 2034 for achieving carbon neutrality. The 20-year goal was based in part on what seemed a doable pace of reducing emissions 5 percent per year on average, says Benjamin Newton, CCC’s environmental sustainability director. The college’s service area covers approximately 14,000 square miles across 90 communities in 25 counties in central Nebraska. The college has three main campuses in Grand Island, Columbus, and Hastings, and three satellite educational centers. 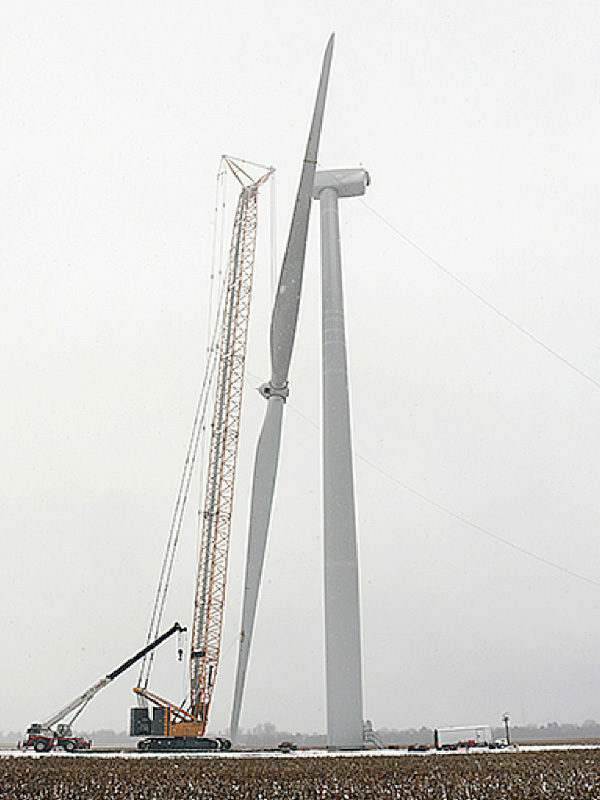 In January 2017, the college made a huge leap forward with reducing its carbon footprint when a 1.7 MW wind turbine on the Hastings campus went live. Data from the first several months of operation show the turbine providing 98 percent of electricity needs for the Hastings campus, cutting campus greenhouse gas electric emissions by half. The college has a 25-year agreement with Hastings Utilities to purchase the power. Various small-scale solar and geothermal installations are present elsewhere across CCC campuses and centers. Especially exciting is the new Kearney Center, which will open in fall 2017, and which employs net-zero energy concepts in its design and operation, says Newton. In addition to proposed future on-site solar, the college is in discussion about buying shares in a new 5.8 MW solar array intended to attract clean technology-focused businesses to the area. Kearney is a member of the Nebraska Community Energy Alliance, which includes 26 communities throughout the state sharing resources and strategies in clean technology adoption, including electric vehicle charging stations. Nitty-gritty efficiency. With some big renewable energy projects now complete, a primary focus for Newton has been to double down on energy efficiency and enhanced building performance. Adding to the savings realized from wide-scale LED light conversions and the installation of high-efficiency boilers and chillers, Newton is coordinating with facilities staff on a full spectrum of efficiency measures for some of its older buildings in particular, including new windows and insulation, reducing plug loads, and incorporating auto controls and temperature set points. A second priority for Newton is tackling the college’s transportation-related emissions. “With no real public transit system across such a large service area, we realize that our 2034 transportation emissions target will be difficult to attain without significant changes in vehicle technology and rideshare programs,” says Newton. The following initiatives are underway to help ease the transit challenges. The city of Grand Island is currently conducting a public transit survey, and Newton is involved with the planning group to explore what more can be done to increase bus ridership capacity and frequency to better serve students. CCC facilitates collegewide department meetings through video and Web conferencing to reduce employee travel between campuses and centers. In addition to an all-electric college maintenance fleet, CCC owns a number of hybrid vehicles that are available for faculty and staff to reserve when needed to travel between campuses. The college is implementing other strategies to reduce commuter miles. Since 2015, CCC transitioned to a four-day workweek during summer months, effectively reducing travel by 20 percent for three months each year. Likewise, more online courses and high-end streaming technology on site at each campus and center allows students to effectively sit in on courses from any location while staying closer to home. Bottom line, the college is committed to first doing everything it can on its campuses to curtail commuting impacts, but it may need to explore local renewable energy credits as a final strategy, notes Newton. Embracing momentum. While every transition takes some getting used to, typically the early adopters benefit most, suggests Newton. “When I was growing up in Iowa, I don’t remember seeing a single wind turbine. Today, the state is a leader in wind energy. It is a completely different horizon, with red dots lighting up in the night sky.” Those red dots have come to symbolize economic benefits that have attracted other clean-technology business to the state, says Newton. He senses a similar motivation to embrace clean energy in central Nebraska, which possesses great wind and solar resource potential and has no shortage of rural land to take advantage of these opportunities. Community involvement. 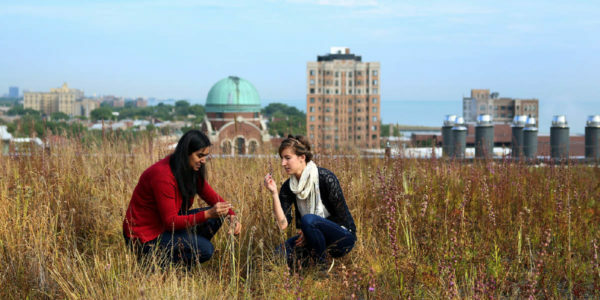 As with other concerns central to Loyola’s mission, the university’s response to addressing climate change encompasses campus operations, the curriculum, and engagement with the larger community. To the latter, various university initiatives assist the nearby Rogers Park and Edgewater communities with weatherization efforts, stormwater mitigation, and tree planting, among other efforts. Academic programming includes nine sustainability-related degree offerings and a foundational environmental literacy focus incorporated into the undergraduate core curriculum for all students. As for operations, a concerted focus on enhancing the efficiency of campus infrastructure has paid off, garnering as much as a 20- to 40-percent savings in energy consumption per square foot—the largest geothermal project in Chicagoland—and contributing to a 38-percent reduction of overall campus carbon emissions since Loyola’s 2008 baseline energy audit. “These actions save between $2 million and $3 million in energy costs each year,” notes Durnbaugh. Formalizing engagement. Before Durnbaugh came to Loyola five years ago, he worked for the city of Chicago. During his tenure there, Durnbaugh helped develop the city’s climate action plan, so he is well-versed in quantifying and tracking emissions-related targets. Now a big part of Durnbaugh’s work with Loyola entails nurturing a formal supportive structure of working groups to gather internal stakeholder input from diverse perspectives; vet ideas and strategies; seek support from the president, provost, and senior vice presidents for priority initiatives; and maintain enthusiasm and momentum. Another reason to pay more attention to wise water management is the potential for water to disrupt operations, suggests Durnbaugh. Loyola joins a growing number of colleges and universities turning attention to adaptation and resilience strategies for their campuses and communities. “One of the main threats to Loyola and the Chicago metro area is heavy precipitation in the form of large sudden rain or snow events that can flood infrastructure and impact vehicle traffic with flooded underpasses,” explains Durnbaugh. To improve stormwater management and protect adjacent Lake Michigan, Loyola has incorporated permeable paving and added green rooftops—the most of any university in the Midwest, according to Durnbaugh. ASU’s commitment to climate neutrality already extends well beyond its campus borders. Along with efficiency-driven design aspirations for its built infrastructure, the university embraces sustainability commitments as part of its mission to help transform society. “As a public institution we believe we have a responsibility to forward social change, to connect to the world and understand what needs exists and identify ways to address those needs,” says Olsen. For ASU, becoming “socially embedded” means working in partnership with other entities to address common concerns. As one example, the greater Phoenix area is an urban heat island where heat films can sit over the valley and retain pollutants that are harmful to everyone. “This is a very real concern with real health implications that we need to help address,” says Olsen. The Energize Phoenix initiative is another example of ASU working with local stakeholders to improve the community. The three-year energy efficiency program was led by a collaboration of ASU, the city of Phoenix, and Arizona Public Service (the state’s largest electricity provider). The program, supported by the Department of Energy, was created to develop scalable models for growing the energy efficiency industry. ASU generated a wide array of applied research findings of practical benefit to industry members, as well as for use in developing policy options. The program generated, on average, estimated annual avoided emissions of 95,256 metric tons of carbon dioxide equivalent, and utility customer savings of more than $12.6 million per year. In their quest for reducing the emissions-related impacts of their campuses, higher education institutions have certainly benefitted from peer support and from the structure of networks and organizations providing tools to formalize their efforts. From the U.S. Green Building Council’s LEED certification program, to the Association for the Advancement of Sustainability in Higher Education’s STARS platform for tracking sustainability progress, to Second Nature’s foundational American College & University Presidents’ Climate Commitment (ACUPCC), the sector has largely embraced the challenge of addressing the impacts of a changing climate. Part of that conversation has to include what climate action as a campus and as a sector looks like in light of a federal administration that does not support climate science, says Carter. He predicts that advocacy efforts at the state and local levels will increase in importance and effectiveness. For its role, Second Nature is looking for more opportunities to help mobilize the sector to affect energy policy changes. For instance, in some states like New York and California, higher education institutions already have a strong voice and can exert significant influence on outcomes, asserts Carter. Efficiency first. JCCC energy conservation and renewable energy initiatives have resulted in more than $2 million in avoided utility costs and a 25 percent reduction in electrical use, despite the addition of three new buildings since 2008 when JCCC pledged its intention to become carbon neutral by 2050. The full package of efficiency measures include aggressive lighting upgrades, HVAC upgrades, building controls, and improved scheduling. As one example, housekeeping services, which used to be performed during late-night hours, are now conducted during the day so that overnight building temperatures can be adjusted for optimal energy savings, explains Rex Hays, associate vice president for campus services and facilities planning. Solar second. There is strong interest and commitment as a community, and from students specifically, to invest in solar power, says Sustainability Project Manager Michael Rea. Currently, rooftop solar has been added to three buildings on campus, with a fourth installation on the way. 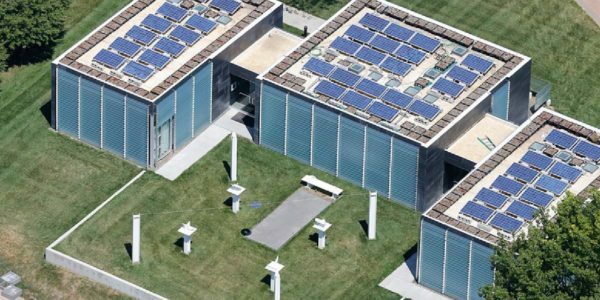 JCCC’s facility master plan calls for eventually adding solar on all buildings. “At a minimum, we hope to add solar to one building each year,” notes Rea. He projects that all installations combined should ultimately account for 15 percent of electricity use for the college. The push to find additional energy savings will continue as JCCC’s facility master plan calls for two new building projects in the next several years, adds Antle. One of those projects will be a career and technical education facility to house the college’s solar education program. Waste reduction everywhere, all the time. For Barbara Larson, JCCC’s executive vice president of finance and administrative services, third-party certifications and voluntary commitments can provide a healthy pressure and directional momentum for achieving both small and large aspirational goals. She points to the fact that the college has already exceeded its goal for diverting 50 percent of campus waste by 2016, and is forging ahead toward its zero-waste goal by 2025. Larson believes that JCCC’s success in part stems from the fact that the campus is highly transparent about its progress. The college maintains campus composting, recycling, energy use, and solar performance dashboards, and provides an updated timeline charting every sustainability-related action, activity, and funding decision undertaken since 2008, confirms Antle. As part of its broader educational mission to the community at large, JCCC hosts monthly national webinars on sustainability efforts taking place at community colleges across the country. To learn how one large research university created and implemented a climate action plan for its three campuses, listen to NACUBO podcast Episode 18: Taking Action on Energy Impact at University of Washington. Visit the NACUBO website for the full list of podcasts.